It occurred to me the other night that I haven’t told you how The Cowboy purposed to me, and let me first say it’s way better when he tells the story. I love seeing his eyes light up with excitement, as he unfolds our story. With that said here goes! 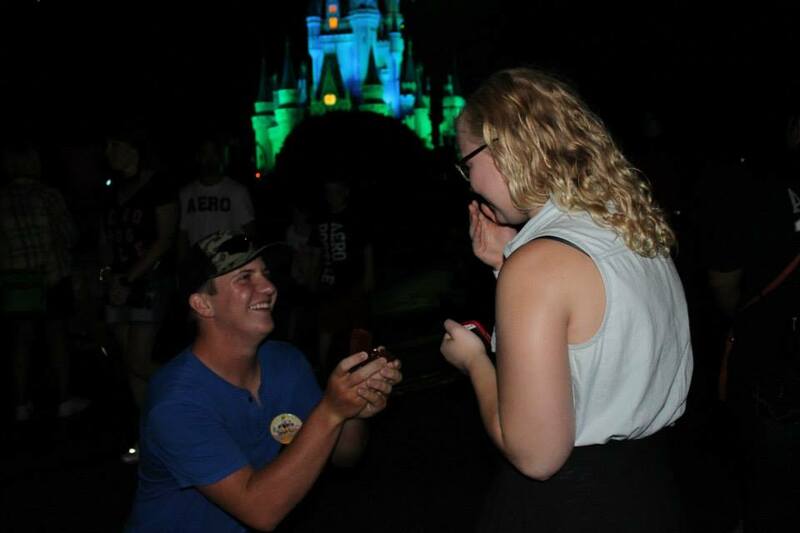 It happened in the most magical place in the world, Disney World. My Mother needed help with an event she was hosting in Disney world over Labor Day Week. All hands on deck were needed, so my Dad, The Cowboy and I all tagged along for the event. Little did I know a ring was hidden safely away in our back pack. 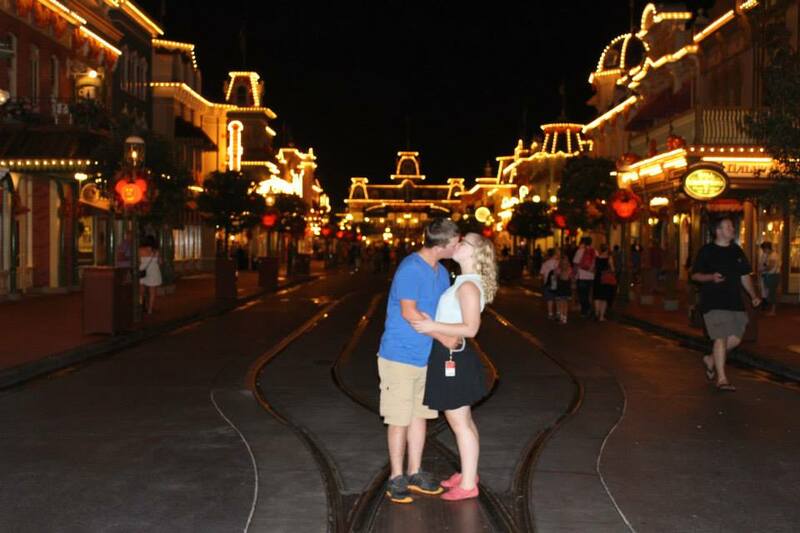 Our first day in Disney World had to be spent at the Magic Kingdom and I had such an amazing time showing The Cowboy around the land of magic and pixie dust. But the real magic didn’t happen till that night. 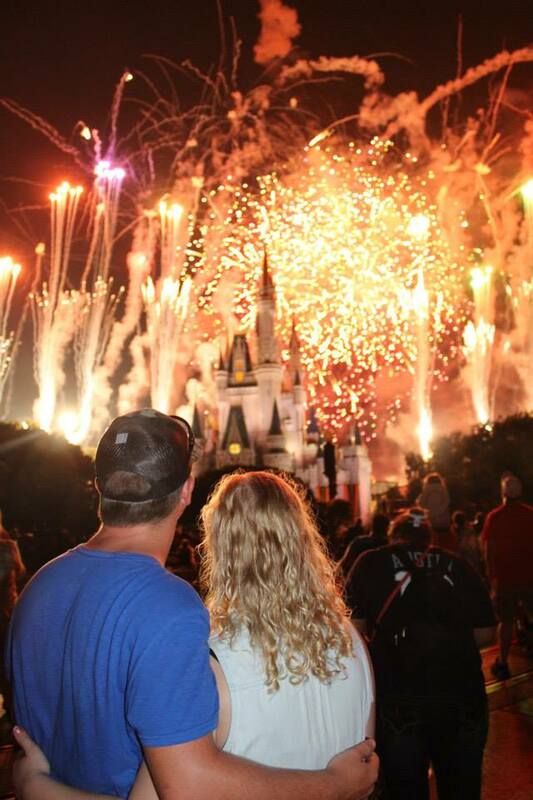 Once the sun had set and the crowds had gathered, the Disney firework show Wishes began. And it was there in that moment that this conversation happened. Yes my friends, The Cowboy was serious. 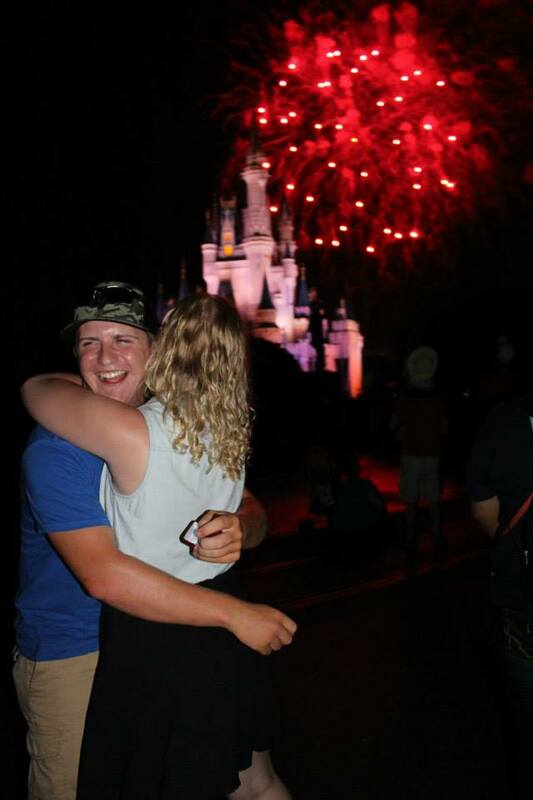 There in front of Cinderella’s castle, while fireworks were bursting in the air my Cowboy was down on one knee with a ring. Of course I said yes, he is everything I’ve dreamed of and more! It was the most magical moment in my life and I cannot wait to be back in the happiest place on earth for our honeymoon as husband and wife. You see once in a while in the middle of ordinary life, love gives us a fairy tale. What does your fairy tale look like? what a cute proposal story!! you two are adorable! !